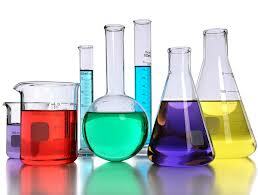 These are the basic ingredients of all detergents and are relatively complex molecules that perform a number of tasks. Before we go any further, it is important that you understand how surfactants work. First of all, we can think of them as having two ends; one end forms a chain of carbon and hydrogen atoms (this may include a ring of atoms); the other end contains a group of atoms which carry an electrical charge. The carbon and hydrogen chain is water repellent or “hydrophobic”, to give it its technical term. These chains will seek out any material within a solution that is not water and attach itself to it (it can even stick out of the surface of the water). The group of atoms at the head of the molecule carrying the electrical charge acts in the opposite way. It prefers to be surrounded by water and the technical term for this is “hydrophilic”. Amphoteric - which can be either positively or negatively charged depending on the pH of the solution. Even though surfactant molecules have different levels of electrical charge, it will not affect the way in which they work. However, if the types are mixed, this will lead to them being rendered ineffective. The following sequence of diagrams show how surfactants work. Follow them closely to get a better understanding of how the cleaning process happens. When the cleaning solution is applied to a surface, the cleaning molecules crowd around anything that does not contain water. Their hydrophobic ends point inwards away from the body of the water and penetrate the surface of any soil particles The result of this process is that the surface tension of the water is reduced, allowing the cleaning solution to cover the surface to be cleaned, depositing a layer of surfactant. 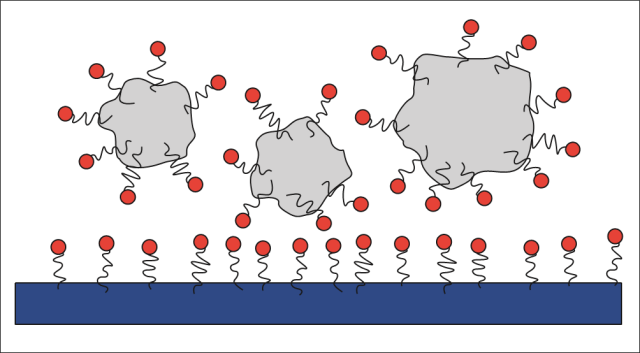 The grease and dirt then become covered with the surfactant molecules (as illustrated above). Once the surfactant molecules have attached themselves to the dirt particles, the electrical charge carried by the hydrophilic head begins to take effect. The following two diagrams clearly illustrate the way in which this electrical charge allows the dirt to be removed from the surface. In it we will use negatively charged or anionic detergent particles as an example, although in principle these behave similarly to non-ionic and amphoteric surfactants. You will notice from the illustration that the dirt particles are becoming detached from the surface. Once the grease and dirt has started to leave the surface it begins to form into droplets which float clear of the surface. This is caused by the electrical charge of the surfactant particle. As each of the particles are negatively charged, just as in magnetism, the similar charges repel each other. This means that the surfactant molecules on the cleaned surface repel those molecules attached to the dirt particles, causing them to float from the surface. Once the surfactant particles are attached to the dirt particles, they remain attached and continue to break them into ever smaller droplets, eventually forming an emulsion of dirt and cleaning solution. Although the scientific reaction we have just described effectively releases dirt from a surface it has adhered to, in practice, it can only be fully achieved with the assistance from a mechanical process i.e. using a mop, scrubbing brush, abrasive pad or rotary cleaning machine. When the dirt has been removed from the surface, it is deposited in the cleaning solution, away from the newly cleaned surface. As the surfactant molecules are still attached to the dirt particles, the process of repulsion continues. This prevents the dirt particles grouping together and being re-deposited onto the newly cleaned surface. Again, the surfactant molecules present on the clean surface will continue to repel those molecules attached to the dirt preventing flocculation. The next time you are using a detergent, try to visualise the cleaning molecules as they are illustrated above and working in the way described. You will quickly grasp the way in which surfactants work and appreciate the important job they perform in all cleaning tasks. As we have said earlier, although, essentially, all surfactants perform the same task, it is worth considering the differences between the four different types. With all cleaning tasks, you must consider the type of detergent you should use in order to clean the surface in question in the most effective way possible. One way of doing this is by considering the strengths and weaknesses of each type. Can’t be used in acid products. Can’t be mixed with cationics. Can’t be used with alkalis. Can’t be used with anionics. Can be used in all conditions. Can be used in all conditions. Improves when blended with other groups (synergism). Non-toxic and do not harm skin. May be a loss of detergent activity in neutral solutions. • They combine with calcium ions in hard water to form water-soluble salts, preventing the adverse effects of calcium. • They enhance the emulsifying and dispersing properties of the detergent. The more complex phosphates, such as sodium tripolyphosphate, are present in many detergents and perform both of the functions above. Many liquid detergents contain less complex phosphates and function in the second of the ways described. These increase or stabilise the foam produced by detergents. Foaming is generally used to indicate surfactant activity or to increase the effectiveness of detergents when cleaning non-horizontal surfaces. Foams will dissolve soil particles and hold them in suspension while continuing to act on the surface. Foam stabilisers increase the length of time foams are effective. This is useful when cleaning large areas of vertical surfaces, allowing the foam to stay in contact with the surface for longer. These are materials that are added to detergents to protect surfaces from excessive wear during cleaning. Sodium silicate is the corrosion inhibitor most commonly used in detergents. Chelating agents are added to detergents to reduce the effect of calcium salts in hard water and increase the effectiveness of the detergent. These are added to detergent blends used for cleaning fabrics and upholstery. They increase the amount of light reflected from the cleaned surface, making it brighter in appearance and cleaner.